Are you asking where you can find Air Conditioning Repair Near Me in North NJ? 1st Choice Plumbing, Heating & Drain Service is proud to be your Air Conditioning Repair Near Me in North NJ. Whether you are looking to fix the air conditioning system in your home or your place of business, you can rely on 1st Choice Plumbing, Heating & Drain Service to get to your repair job done quickly and reliably and to provide excellent, long-lasting repairs. 1st Choice Plumbing, Heating & Drain Service offers 24/7 emergency AC repair service and we offer express arrival time to your home or place of business, typically 45 minutes or less. When you call us, you can can expect quick, courteous service and that your repairs will begin within an hour of when you first pick up the phone. We also offer free AC repair estimates so that you will know, with confidence, how much your AC Repair will cost. As an AC repair company in your area, we understand how devastating a NJ summer can be without proper air conditioning. We know what it’s like to swelter in place for hours on end because sweltering in place while we repair your AC is the very definition of our job. If you notice that your AC unit isn't performing at optimal strength, or isn't functioning at all, don't panic! 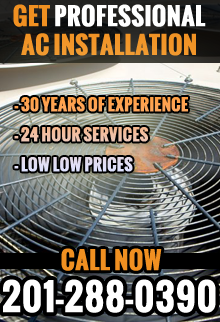 Our experienced AC technicians can make the necessary repairs and restore your quality of living without delay. We have the skills, equipment, and efficiency to get your AC unit up-and-running again! For more information about Air Conditioning Repair Near Me in North NJ, call 1st Choice Plumbing, Heating & Drain Service at 201-288-0390. 1st Choice Plumbing, Heating & Drain Service - Your Trusted source for Air Conditioning Repair Near Me in North NJ.